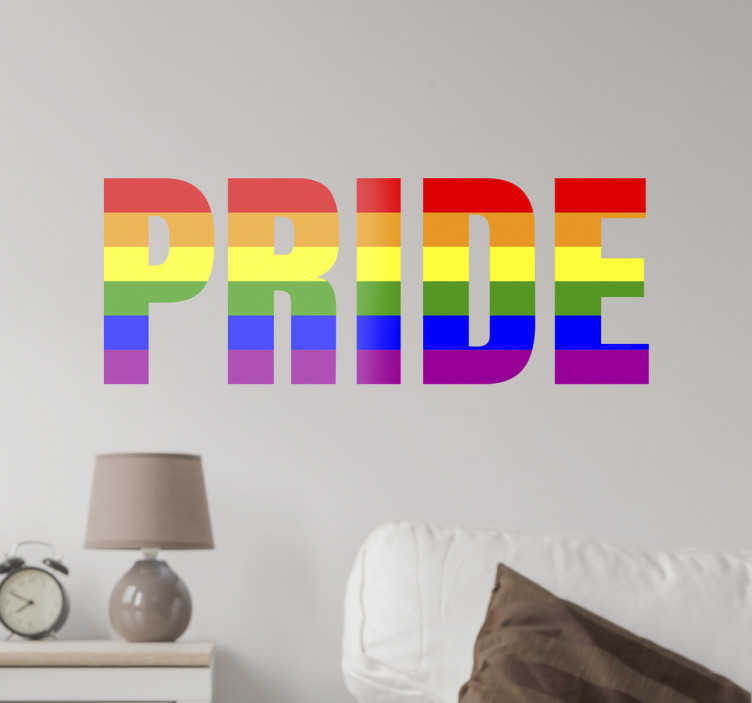 Get behind the LGBT community with this wall sticker. Whether you're gay or just support equal rights for everyone this wall sticker is perfect. The text sticker consists of the word "pride" with the word coloured in with the colours of the rainbow. These colours are associated with the gay pride flag. Decorate your bedroom, living room or kitchen with this wall sticker. The sticker is available in a variety of sizes.